The teenage stage can be a traumatic time for teens today. They are under pressure to look perfect with flawless skin, perfect body shape and an amazing smile. If your teen hesitates to smile because of uneven or crooked teeth, Invisalign teen is the best solution for them. Invisalign teen can help you get a straight smile without the discomfort of traditional braces. These plastic aligners are invisible and comfortable and give you a sparkling smile. If you are looking for a reliable orthodontist in Los Angeles, at Nikaeen Orthodontics we provide best orthognathic surgery in Los Angeles. Our experts will provide your teen with amazing services of Invisalign. 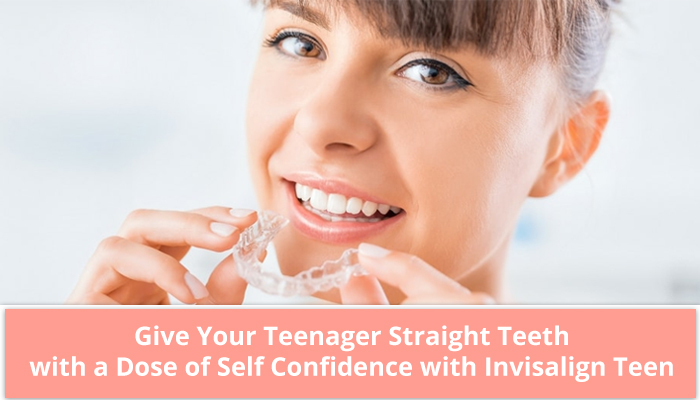 Given below are some of the reasons why Invisalign teen is the best orthodontic treatment in Los Angeles for boosting the self-confidence of teens. Fewer dental issues with straighter teeth – Crowded, crooked or spaced teeth are difficult to clean and can result in dental issues. With the help of Invisalign, you get straighter teeth and you can easily clean them and keep them healthier. This will cause lesser oral issues and give you a happy smile. Boost your confidence with a perfect smile – A perfect smile can boost your confidence. If you lack confidence due to the appearance of your teeth, helps to bring back that confidence with a perfect smile. Smiling not only shows others that you are confident but also makes you feel good and confident about yourself. Invisalign straightens teeth invisibly – Metal braces are clearly visible and teenagers think they attract attention to their crooked teeth. Many teenagers also get teased about their braces. With Invisalign Teen, you are able to get the same service in plastic aligners which are clearly invisible. Comfortable than metal braces – Invisalign is more comfortable than braces and you will not have to worry about the way you look. Metal braces provide discomfort and sometimes even they are painful. With Invisalign, you don’t have to deal with any pain or discomfort and you will look the best. If you want the best orthodontic treatment in Los Angeles, Nikaeen Orthodontics is the best solution for you. Book your appointment today and get the best services in Los Angeles.